Matrox is back with a new line of video cards. "AFTER SPENDING SOME time below the radar screen, Matrox has come again to the market, this time with Millennium P690 Plus LP. P690 is a refresh of P650 series of graphics cards, manufactured in 90nm manufacturing process, and paired with DDR2 memory. As usually happens with Matrox, the key application for these graphics cards are to work for aeons, providing multi-monitor support and not consuming much power - the P690 is passively cooled, specc'ed to consume 12W or less. The company is touting the availability of cards in several different formats, and the ability to fit as an upgrade in variety of case formats." Sun will now ship Windows Server in their new boxes. Who would have thunk it?
" SAN JOSE, Calif. (AP) � Sun Microsystems Inc. will begin building servers with one-time foe Microsoft Corp.'s Windows operating system installed directly inside of them, instead of forcing customers to install the ubiquitous software on their own or defect to a competitor for one-stop shopping. The agreement announced Wednesday is the latest twist in a truce the companies, once bitter rivals, hammered out in 2004, when Sun pocketed $1.95 billion in a settlement payout from Microsoft over antitrust and patent allegations, and both companies vowed to make their products work better together." Technology | New iPod coming? "Any talk these days of Apple and the future of mobile computing quickly turns to the iPhone. The company is on its way to selling a million iPhones in the first three months of what Apple says is a multiyear strategy to enter the mobile phone market. But Apple makes another mobile device. It's called the iPod. And if the persistent rumors are fulfilled Wednesday during the latest episode of The Steve Jobs Show (a product presentation at San Francisco's Moscone Center), the iPod is about to get a whole lot more powerful." One of the highly touted FPS games in recent times has been released! "BioShock, the long-awaited "genetically enhanced" shooter from 2K Boston and 2K Australia (formerly Irrational Games), is now available for purchase nationwide, for those people who didn't nab a copy last week from a trigger-happy retailer. 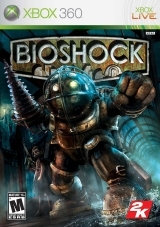 Set in the underwater city of Rapture, BioShock players can turn everything they encounter into a weapon, biologically modify their body with plasmids, hack devices and security systems, upgrade weapons and experiment with different battle techniques. The game is available in North America for Xbox 360 and PC and will be available in Europe Aug. 24." Web viral video viewers will be having a field day with this update. "Adobe announced today that it would be rolling a new video component into its Flash Video Player 9 that promises to bring higher-quality Flash videos to Internet users. H.264�a favorite codec of Apple, Blu-Ray, and HD DVD�will be added to the Flash Player, along with High Efficiency AAC (HE-AAC) for audio. The beefed-up Flash Player will also include hardware-accelerated, multi-core fullscreen video playback�a "must" for anyone who loves watching more than 5 minutes of video on their computer screens." "Jeffrey Katzenberg, CEO of DreamWorks Animation, said consumers seeking to switch to high-definition DVDs will be enticed by the movies available for HD-DVD players. He added the lower price for the Toshiba devices will appeal to the family market. 'It's a game-changer, what they're doing, and it's why we decided to throw in with them,' Katzenberg said."